Our very own picture book editor Maria Tunney shares her passion for two of the most unique and influential picture book makers of our generation; Russell Hoban and Quentin Blake. At Walker Books, we’re always on the lookout for picture book makers that are difficult to categorise. We love to work with illustrators whose work is not so typical, trail blazers, and at the same time we have a desire to publish books that are expressive and original, but are also easily understood by small (and sometimes big) children. So, it was ALL kinds of wonderful when six (that’s right, SIX!) 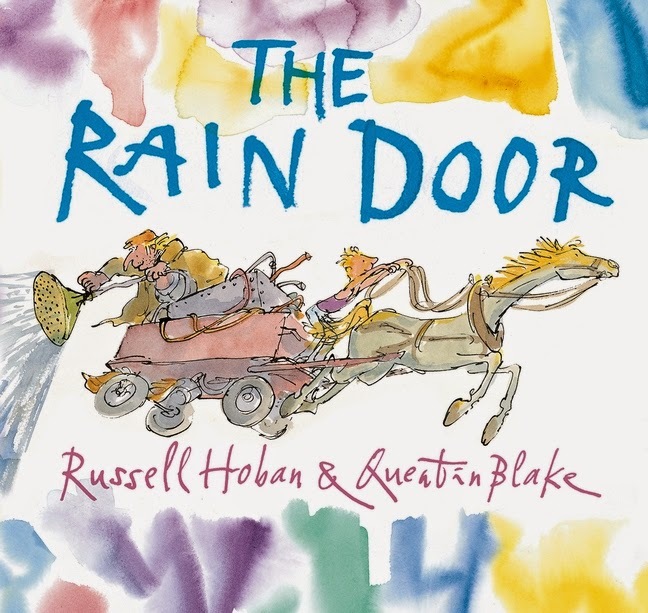 Russell Hoban and Quentin Blake books found their way onto the Walker list. No fooling around, we started with a bang in November last year when we published How Tom Beat Captain Najork and his Hired Sportsmen and the wickedly delightful, spiky-tailed Monsters. This April we’re publishing the paperback edition of How Tom Beat Captain Najork as well as the even-wackier follow-up title A Near Thing for Captain Najork and, of course, the luminous The Rain Door. 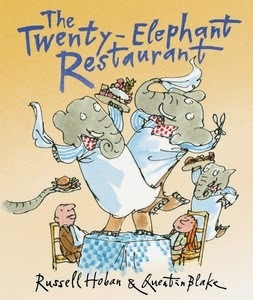 But fear not – there are even more gems to come with The Twenty-Elephant Restaurant coming this November and Ace Dragon Ltd publishing in June 2015. There are SO many things that are marvellous about these books. Hoban truly lived through his work – his words are life IN art – and he makes you feel, as a reader and as a creative, that there are unlimited imaginative possibilities. He is the master of the absurd, the keeper of the madcap; you simply never know which way his stories will take you – each page turn produces an unexpected surprise, a yelp of glee, and an uproarious bout of laughing. Walker Books founder, Sebastian Walker, always said "All that counts is that a child says at the end of the book, 'Again!'" and these books demand many, many re-readings. 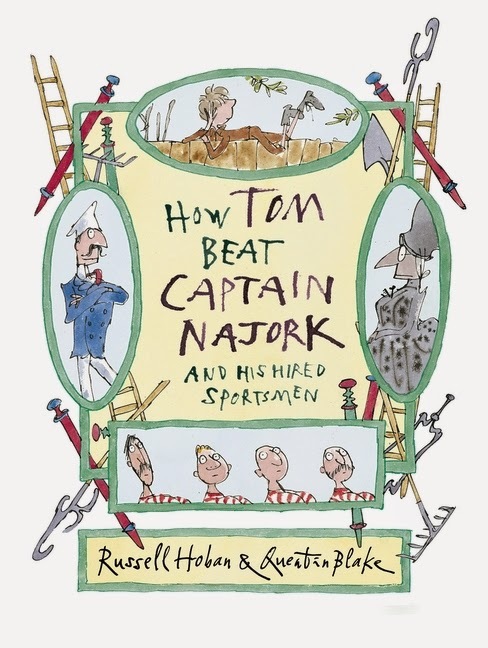 I’ve had to present How Tom Beat Captain Najork and A Near Thing for Captain Najork at a few sales meetings and there is no way easy way to summarise these plots or to talk about them in a neat two or three sentences. No way. You’ve got to shout a bit and read out the great one-liners and giggle and say things like, “Oh this is HILARIOUS!” and “So then, right, he hops on his two-seater jam-powered frog” a lot. Rather – they defy categorisation. They are rare gems gleaming in a mass pile of samey-sameiness. Yes, I just made up that phrase thank you very much. But I do see a common thread: at the heart of these stories – the two Captain Najork books, The Rain Door, Monsters, Ace Dragon Ltd and even Rosie’s Magic Horse – are young children, mostly boys. They are brave and bold, quick-witted and fast-thinking. When the world tells them there is something wrong with them, they rebuke it, they challenge it – circumstances do not hold them back. They don’t need grownups to get by. John, the monster-obsessed kid of Monsters, is a perfect calm amid a storm of parental anxiety and adult neigh-saying. There is nothing wrong with his fascination with drawing monsters, what is wrong is society who wants to understand everything, to disassemble the abnormal in order to make sense of it. Guess what, some people just are the way they are. 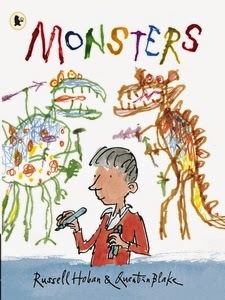 John just likes to draw monsters! Tom in our two Captain Najork is a groovy kid – he’s curious, creative and confident. Through a series of complicated competitive games (WOMBLE, MUCK and SNEEDBALL) he manages to manoeuvre his over-bearing, fun-destroyer Aunt Fidget Wonkham-Strong into the arms of Captain Najork and frees himself for a much more delightful existence of, well, fooling around. Although, he does need a guardian … so he advertises for one. But, of course! And he finds a much happier life with Aunt Bundlejoy Cosysweet. Tom is completely in control of his own fate. Harry in The Rain Door is another character who seeks out adventure. When he follows the Rag-and-Bone behind the rain door he finds himself in a bleached landscape full of rusty bolts, old iron, string and throw-away clocks and … a LION. And what does he do? Well, he uses his imagination and creative brain and makes himself a mechanical dinosaur. 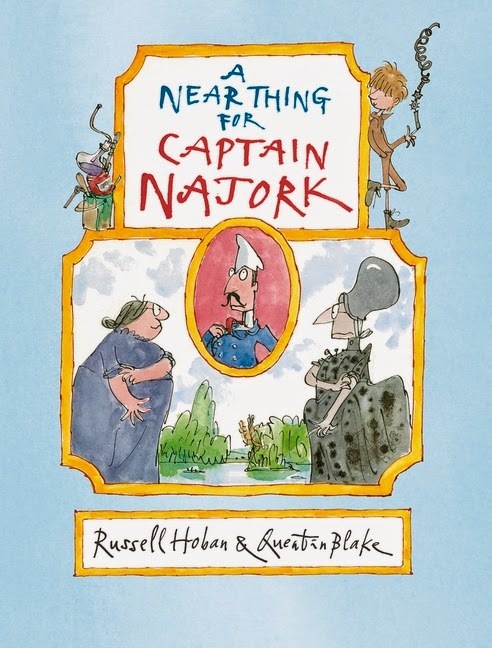 But that begins to frighten away Lightning… Perhaps you can understand a little more just how unexpected each page turn is in a Russell Hoban/Quentin Blake book! Maria Tunney, Picture Book Editor.